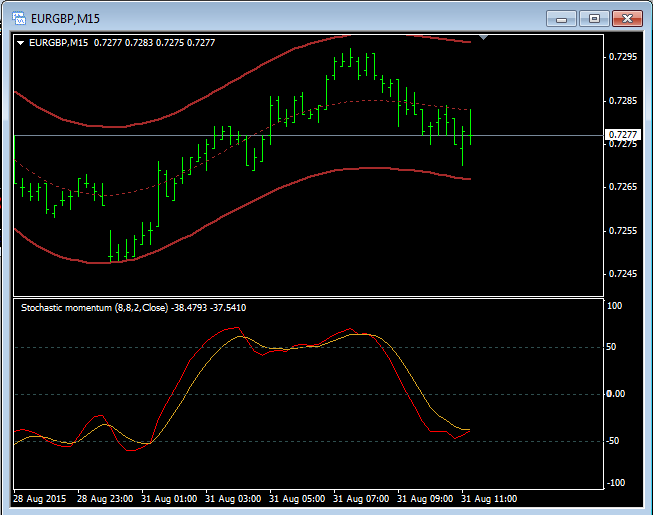 The idea of using the TMA Bands as a Scalping Strategy can be quite simple. 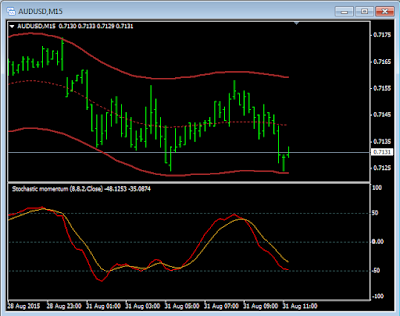 One the price bar has touched or crossed the upper or lower band, it is due to retrace. 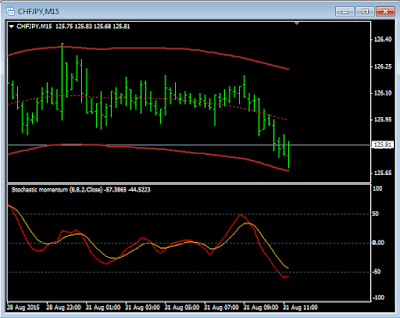 For the trader, he has to confirm trend and his entry point. 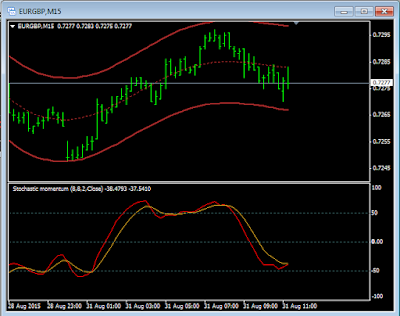 I favour using the Stochastic Momentum Index and like to wait until I see %K cross over %D. That is my own preference, each trader has to find his own method. The important thing is to ensure that the chart ‘talks’ to the trader. 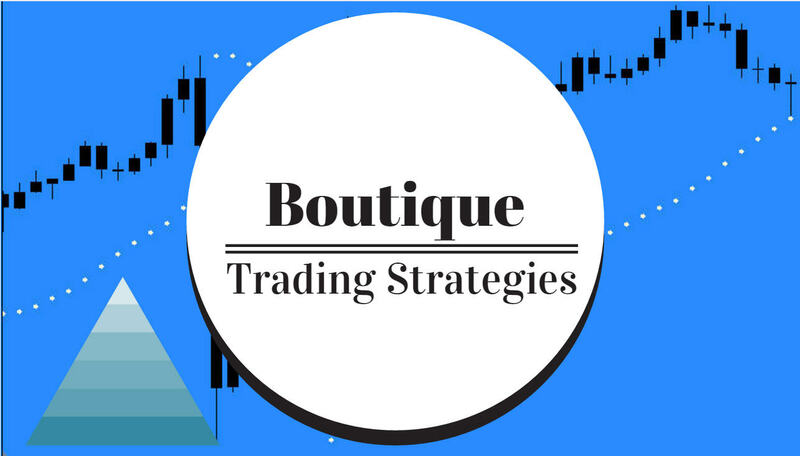 Some traders like to observe a higher time frame chart for signals and then enter on a lower time frame such as a one minute chart. 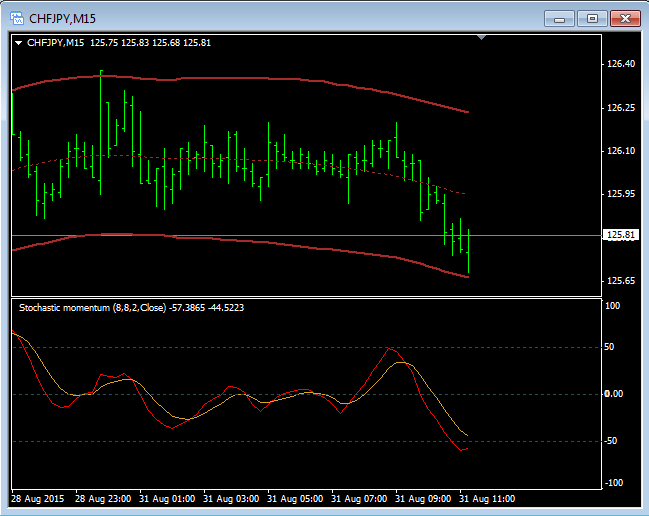 Here are three 15 minute charts from this morning which seem to be valid entries. 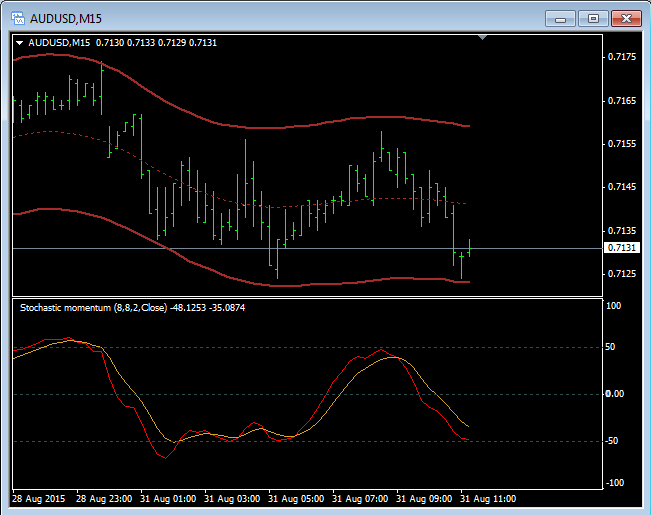 You will notice that the price has approached or crossed the TMA Bands and the Stochastic Momentum Index is crossing.